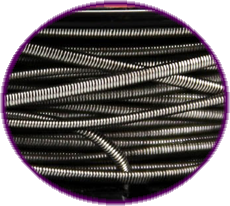 Coil builders looking for high-quality inexpensive coil-building material need not look any further. Instead of a single core design, Fused Clapton Wire comes with two 28 gauge wires (parallel) tightly wrapped with 32 gauge outer wiring. The flattened oval shape of the Fused Clapton increases the surface area (increases vapor production) of your coils and improves heat insulation, enhancing the flavor of your favorite E-Liquid while producing larger clouds. You haven't experienced Fuji apple until you have tried it using clapton coils. ALWAYS test new coils on an ohm meter before using. 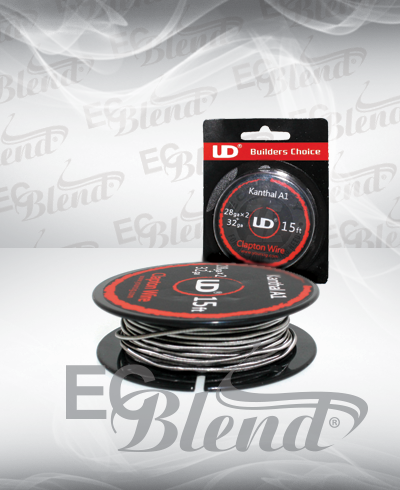 Click the button below to add the Rebuildable Accessory - Youde - Prewound Fused Clapton Wire - 15 Ft Spool to your wish list.